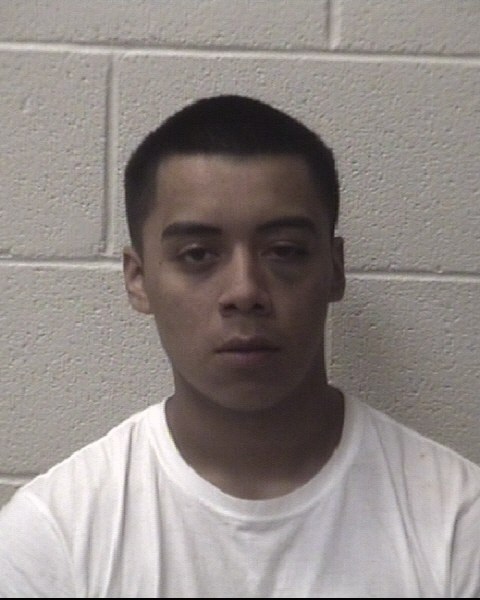 ALEXANDER COUNTY, N.C. — An Alexander County man has been charged with murder after authorities say he shot and killed a man during an altercation. Antonio Castillo, 22, has been charged with Murder and is currently being held in the Alexander County Detention Center with no bond. According to the Alexander County Sheriff’s Office, on the morning of Sunday March 24th, 2019, Castillo and Blade McKinley Campbell, 23, were engaged in a dispute at a residence on Middle Road in the Stony Point community, when Castillo pulled out a a pistol and shot Campbell. Castillo fled the scene and his vehicle was located on Piperpoint Lane in Taylorsville. At about 4:20 p.m. on Sunday, officers located Castillo at a residence on Jessica Lee Lane across from Piperpoint Lane in Taylorsville. As officers approached the residence, Castillo began running through a field before officers were able to catch and arrest him. Officers located two bags containing an AR-15 and numerous rounds of ammunition on Castillo. Authorities say the AR-15 was not used in the fatal shooting. Officials say the murder weapon has not been located and more charges may be filed. Anyone with information regarding this incident, please call the Alexander County Sheriff’s Office at (828)632-1111 or Alexander County CrimeStoppers at (828)632-8555.